The Balance and Beauty Collective is a unique setting managed by some of the top area professionals to empower each with the ability to run their own business by appointment. We offer comfortable and secure surroundings and the privacy and respect of our clientele is of utmost importance. We maintain a by appointment only, locked door policy to ensure this sense of comfort that may be of great importance to you. Because of our cozy spa setting, we do have to require that our guests be at least 10 years of age, and we are unable to accommodate additional children accompanying parents into the salon. (We are very limited on seating space, and our treatment rooms are directly connected to our salon floor, so space and noise levels are kept at a minimum.) While we understand that this will not make us ideal for all possible clients, we feel that this will make us the perfect fit for many clients and create the atmosphere they are looking to escape into. 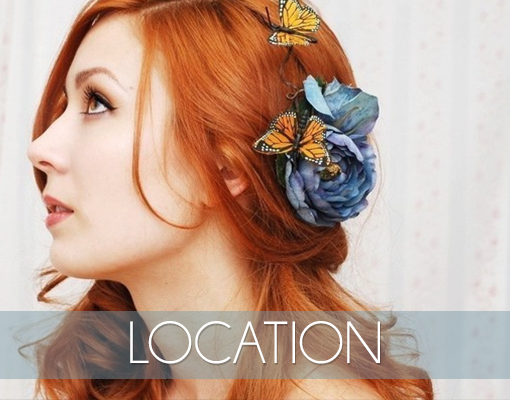 The Balance and Beauty Collective is located in Burton, near the corner of Fenton and Maple. We are a couple doors down from Hungry Howies. Our address is 4479 Fenton Road, Burton, MI 48529. Get directions below or feel free to call us at (810) 412-8308 for assistance.